Starting this month, I have decided to create and share an Excel Template every month. I already have a ready-to-download Excel Templates section on this blog, and I will keep on adding these new templates to this section. Before I come to this month’s template, I have a favour to ask. If you have any ideas for Excel Templates, do share it with me (email me or leave a comment below). It will help me create stuff that is useful for you and my other readers. Also, if you are already using a template, and would like to share it with others (and get yourself featured on my blog), just email me or leave a comment below. In December last year, I was working on creating a calendar template, but things got busy and it fell through the cracks. I picked it up again a few days ago. And this time, I got a bit aspirational and started working on a calendar template that has a to-do list integrated with it (a standalone calendar in Excel wasn’t making much sense to me). With a bit of VBA and Excel Functions, I have finally created something that I think is worth sharing. Change month/year with a click. The date for which the task has been entered turns blue. The task for that date gets recorded in a separate worksheet. You can enter multiple tasks for different dates or the same date (I have written the VBA code to record up to 1000 tasks). To get a list of all the tasks in a month, click on the Show Monthly Tasks List button. All the tasks are recorded in the back-end (in the comments tab). You can delete the tasks when it is done, and it will stop getting reflected in the calendar. How is it? Do you like it / hate it? I would love to know what you think. Excel To Do List Templates (4 Examples). No puedo descargar la plantilla, ayuda! Unable to download. Is it not working?? How can I download??? Hi, I have one suggestion to in-corporate. In the To-Do list template some task do not complete on that particular date. So, if we can assign the pending task to some other date directly, it would be great. would you share me the template please? I am unable to download . Would you please provide me the template. I am unable to download your template. Would you be able to provide a lead towards the coding? Thanks! Thanks. Can you please add a button to list out daily task list as well, in addition to the already existing monthly task list button. Hey, can I use this in my project management excel file? I tried copying the two spreadsheets (Calendar, Comments) in my file, but that doesn’t seem to work. Thank you for your assistance. would it be possible to have an excel template that has recurring tasks with a pop up reminder. For example: In a restaurant where cleaning tasks have to be done daily,weekly & monthly. could a template remind staff of the task to do and check it as completed then automatically renter into the task list again for the next time. It would be great, if you make a video on how to make this Excel template step by step. How do you get the show monthly task list button done with window to popup? This is great! But the dates aren’t highlighting when there is a task 100% of the time (I think this is because I have a very long list of tasks and it may be limited?) is there a way I can update this? Hello, thanks for this is exactly what i need right now at work. Hi, that’s a good start. I think it could be interesting to add a daily workload. So that you can check if you overload your day/week/month. Is there any possibility to merge between Excel to do list template (drop Down) with the integrated calendar? This is great. COuld oyu make it work the other way? I mean could I copy and paste a task list into the comments page and it transfer it to the calendar? That would be helpful for my task. Also it would be great to tbe able to print the claendar out with a list of tasks. This template is exactly what I need right now! However, when I try to open the downloaded file, I get: 1) Excel opens; no new spreadsheet or this template displayed; or 2) file corrupt. I am using Office 2013. Hello Yika.. Are you able to open other Excel files? The download file seems to be working fine on my system. 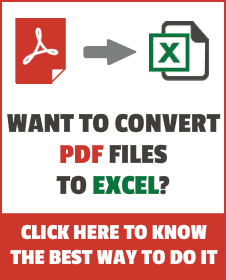 Try this: Open MS Excel, then drag this file and drop it on the open excel workbook. I have been facing the same issue with 2013, and this trick works for me. Had no problem opening it at work in Office 2007 (or 2010, I don’t remember which). Although I need it for work, I had just wanted to use it here at home to try to get a start on it. I never was able to get it to work. Same problems. I would like to submit the Personal Finance Manager Excel template http://indzara.com/2013/05/personal-finance-manager-excel-template/ for your consideration. It’s free to download. If you think it’s worth sharing with your readers, please do. Thanks for considering. Best wishes. What tool do you use to create gif images? Agree with Snuppelura – needs the dates with the task on list – what if you have multiple tasks on a date, you would not know what dates went with what tasks??? Also – why have the list as a pop-up, why not have the list dynamic based on the selected month/year and always shown??? Good idea, and maybe the calender can default to today’s date? hi, would it be advantageous to have the date in front of the task when clicking “show monthly tasks list”? The date should preferably show acc to locale settings. And being able to print the task list? What do you think?